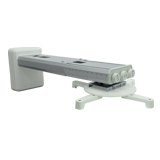 Short Throw Projector Wall Mount, PB095B - HIGHGRADE TECH. CO.,LTD. 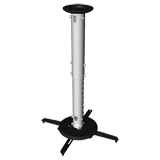 Highgrade launched our latest projector wall mount for Short Throw Projectors for Short Ratio from 0.3, 0.4, 0.45, 0.6. Among these projector wall mount, PB095B is focusing for 0.45 Short ratio with distance from the wall max. to 950 mm and with fine tune solution. 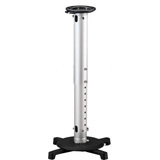 The universal mounting pattern of 325 diameter allows Highgrade's projector mount to be compatible with majority of projector brand in the market such as BenQ, Acer, Optoma, Eiki, Hitachi, Sanyo...etc.